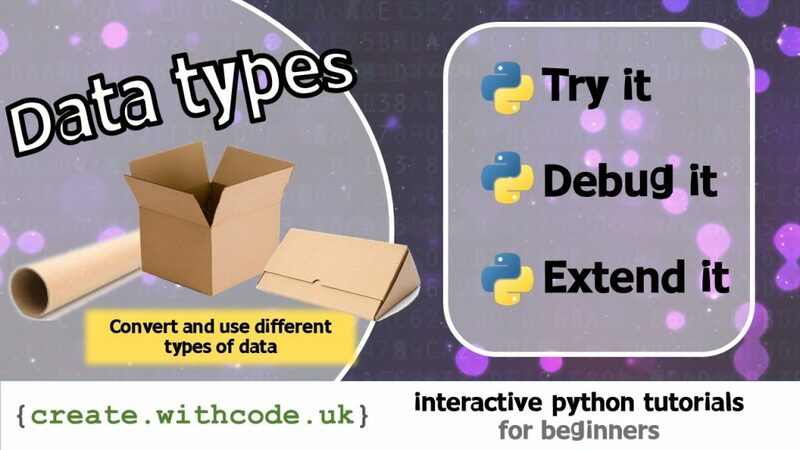 This activity is designed to help you learn how to use python to write a program that uses and can convert between a range of different types of data. The last few activities looked at how we can use variables and constants to store data so that we can process it and display it when the code runs. All the examples we’ve looked at so far have used text data rather than numbers. The next step is to learn how to write code that deals with both numbers and text, converting between and combining the two wherever necessary.